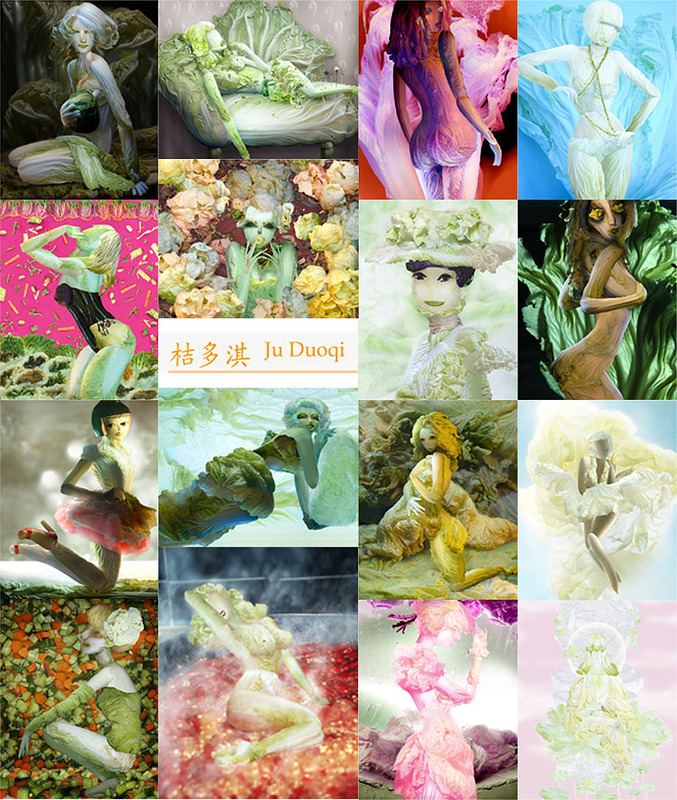 If It's Hip, It's Here (Archives): Glamour Girls Who Will Give you Gas (or Steamy Cabbage) by Ju Duoqi. 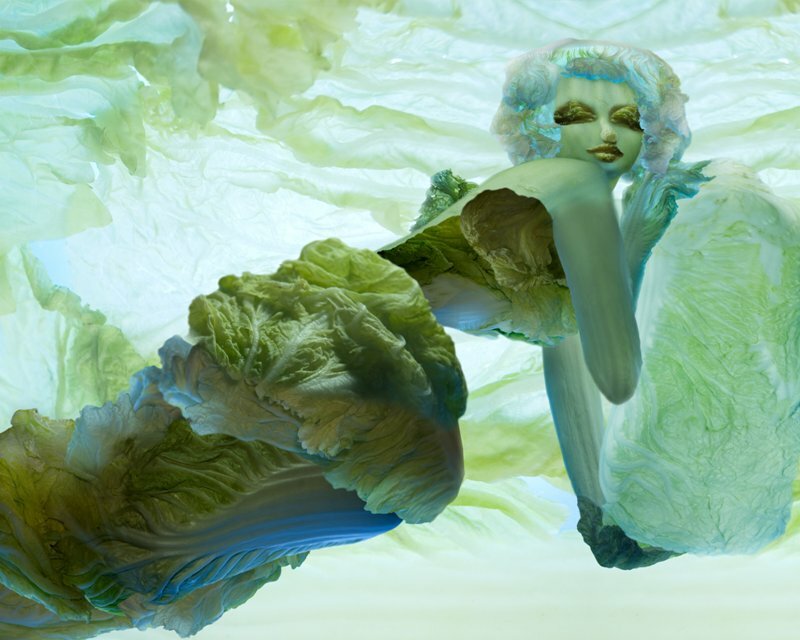 Glamour Girls Who Will Give you Gas (or Steamy Cabbage) by Ju Duoqi. 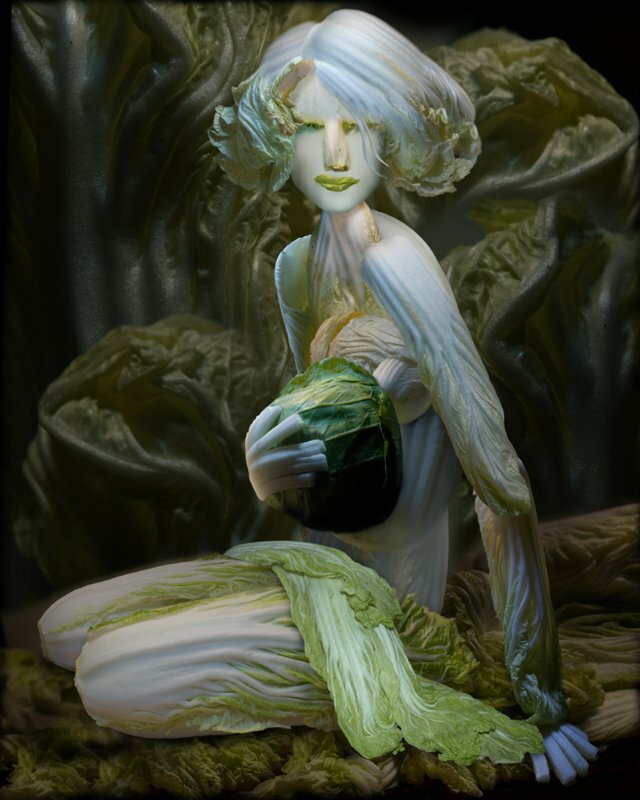 Born in Chongqing in 1973, and a graduate of the Sichuan Fine Arts Institute, Ju Duoqi (shown above) is Chinese artist and photographer who first started working with vegetables in 2006. 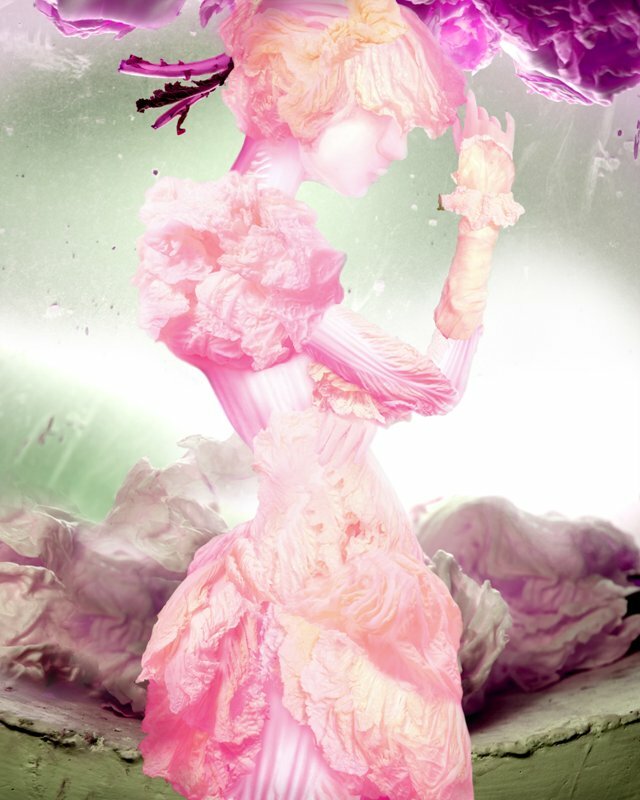 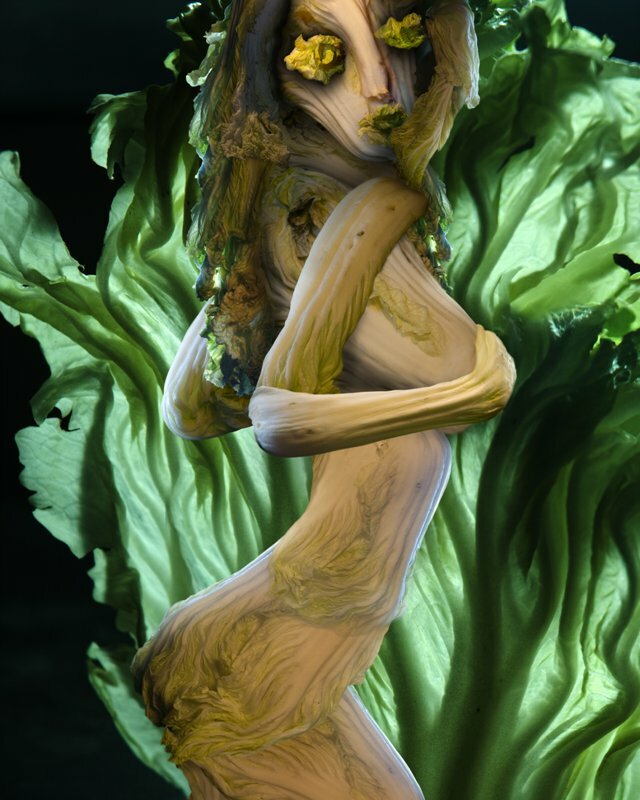 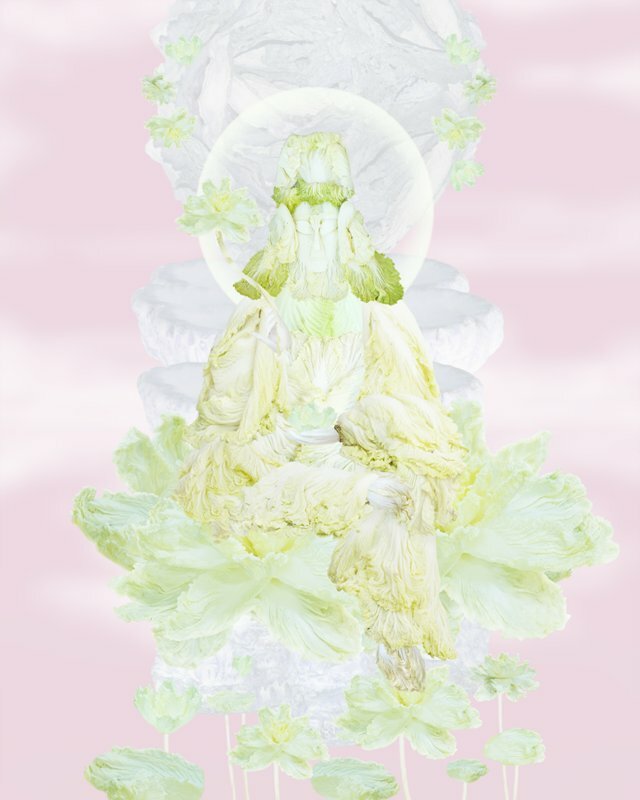 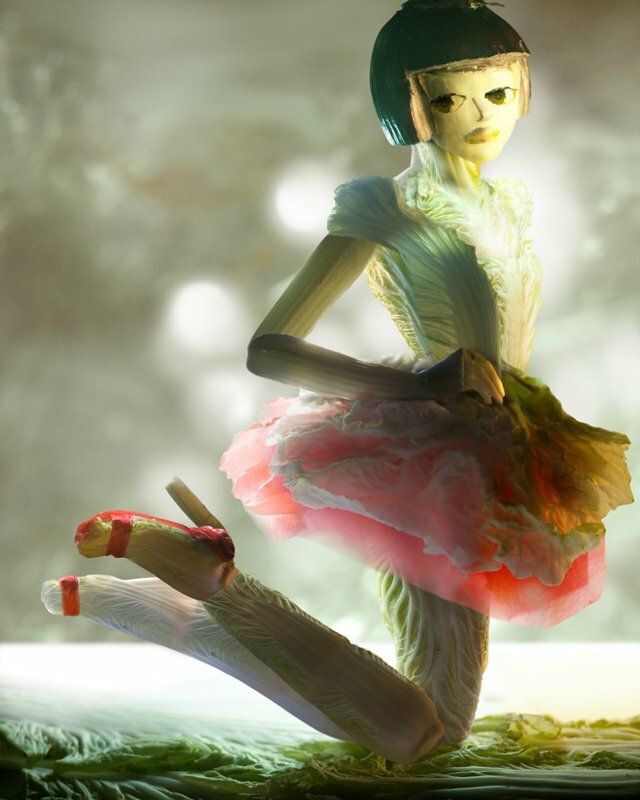 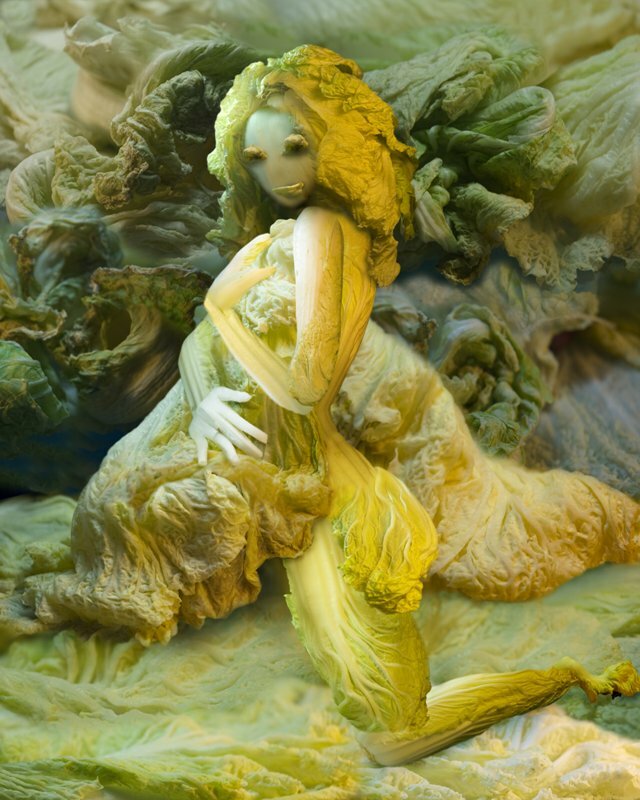 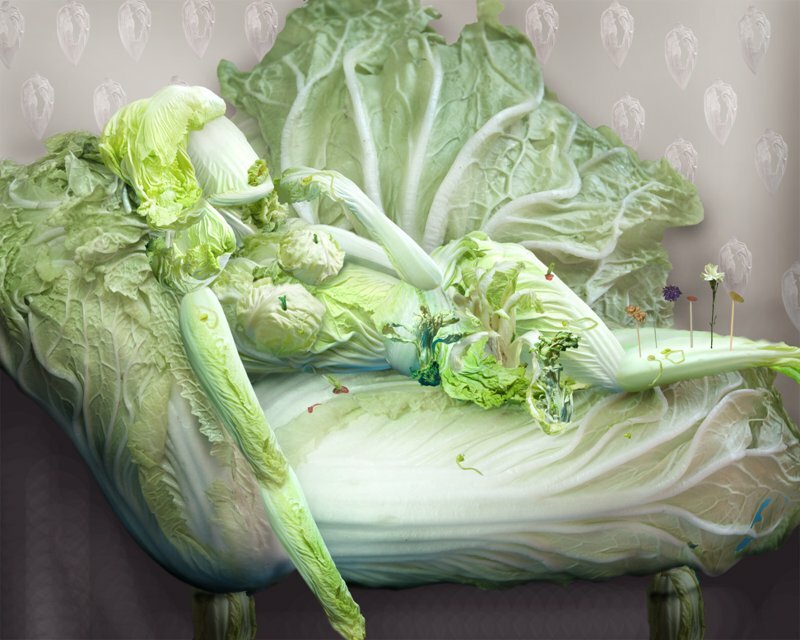 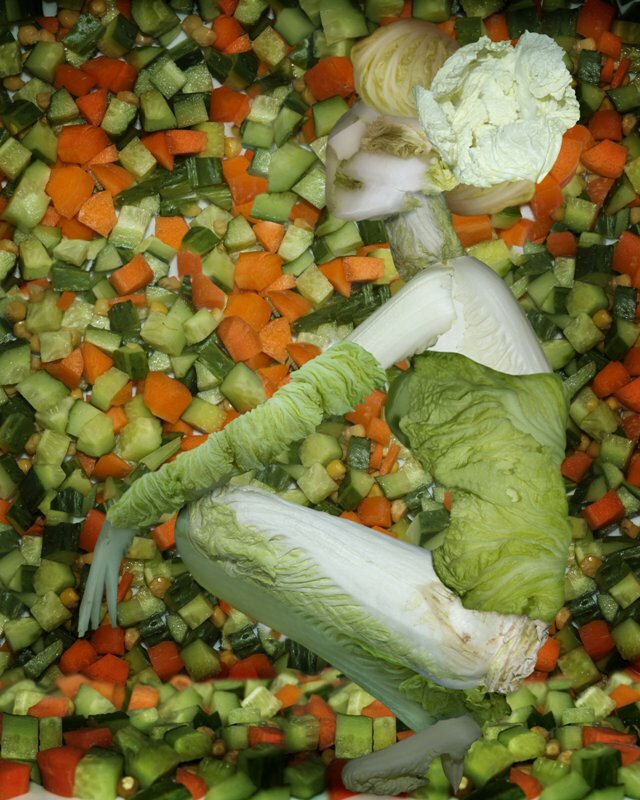 In 2008 she created a series of reproductions of classic painting reproductions using vegetables called 'The Vegetable Museum' and then, in 2010, this hilarious series "The Fantasies of Chinese Cabbage." 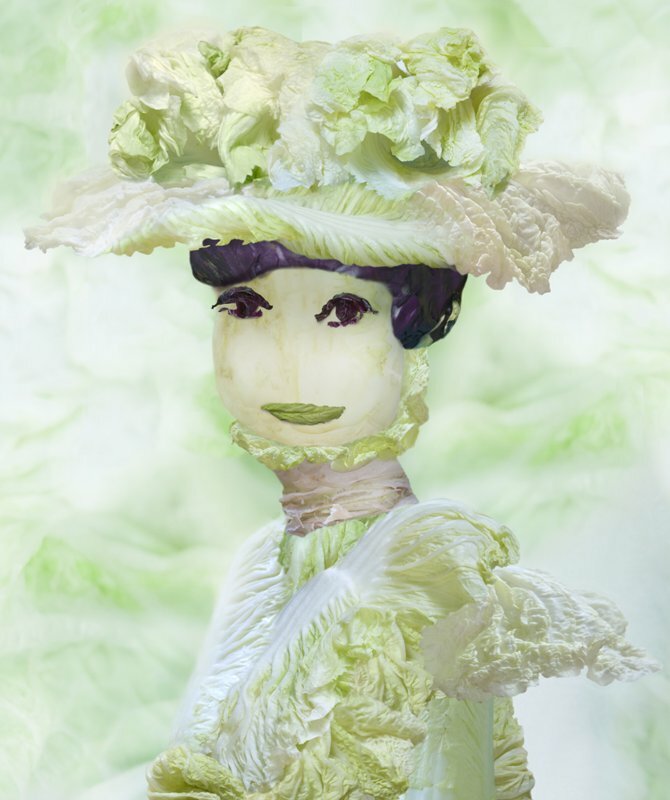 The project consisted of 18 portraits of pin-up girls and beautiful women made entirely out of green cabbage (the images that appear to use red cabbage are simply altered/inverted). 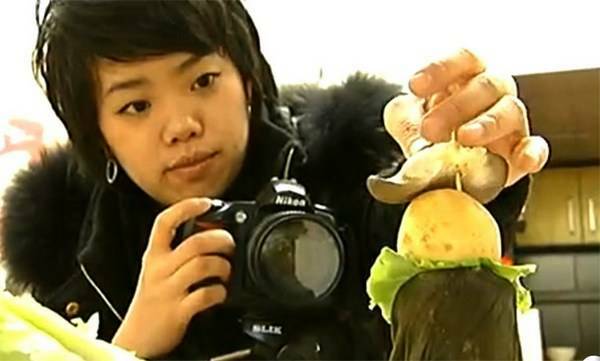 She won the First Prize of Art Creativity category at China International Ecosystem Photography Festival in 2009 and her works has been published by the Guardian (UK), the Independent (UK), the Sun (UK), Publico (PT), Le Monde.fr (FR), Actuphoto (FR), Courrier International (FR), das Bild (GER), Muyt Interessante (SPAIN), the Irish Times (IR), Daily Times (Pakistan), Panorama (IT), Wall Street Journal (US), Yahoo!News, I LOOK (CN), China Daily (CN), Chip Foto-Video Digital, Photographers Companion, China Photo magazine, Life Week and Xinhua News Agency.